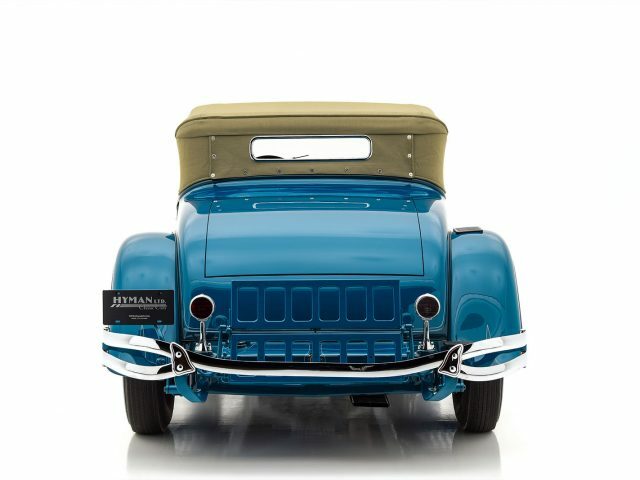 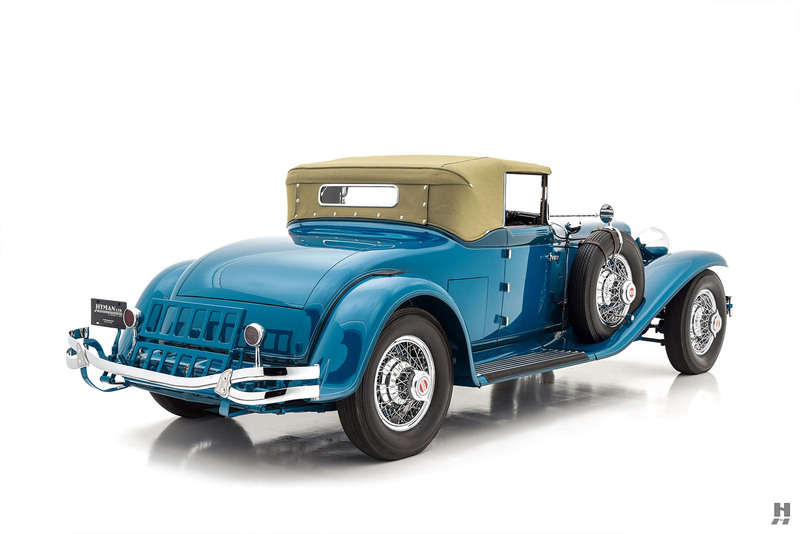 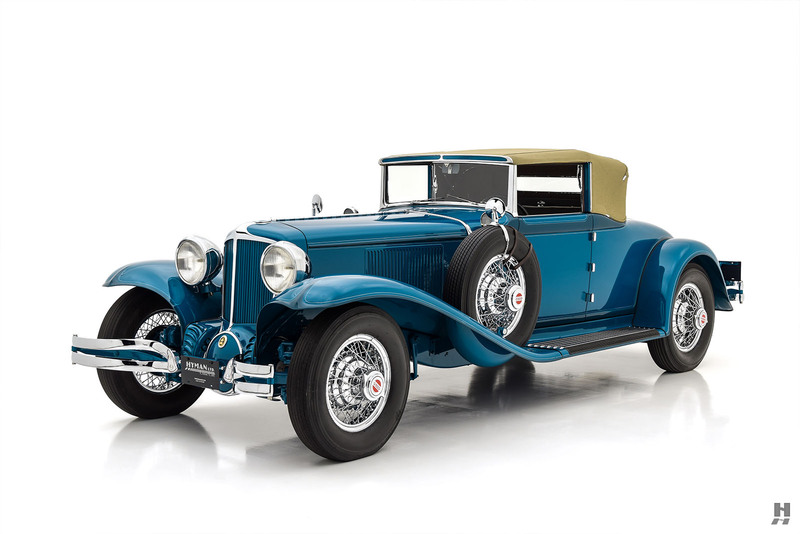 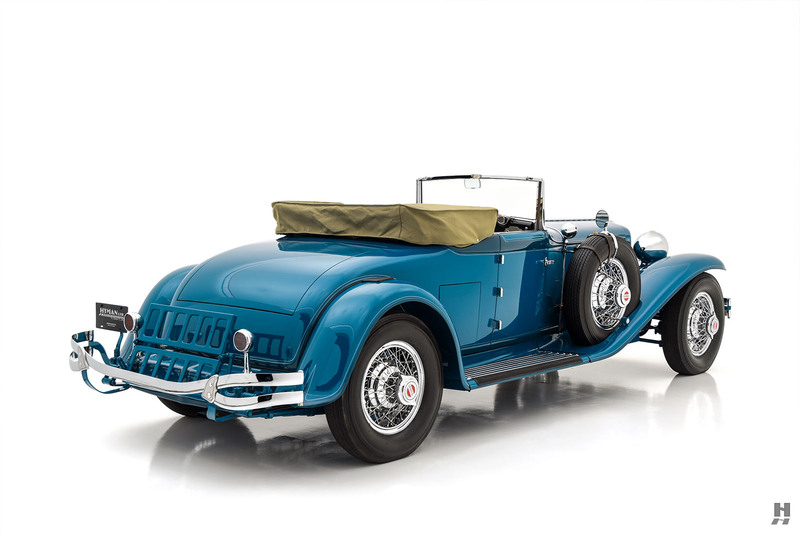 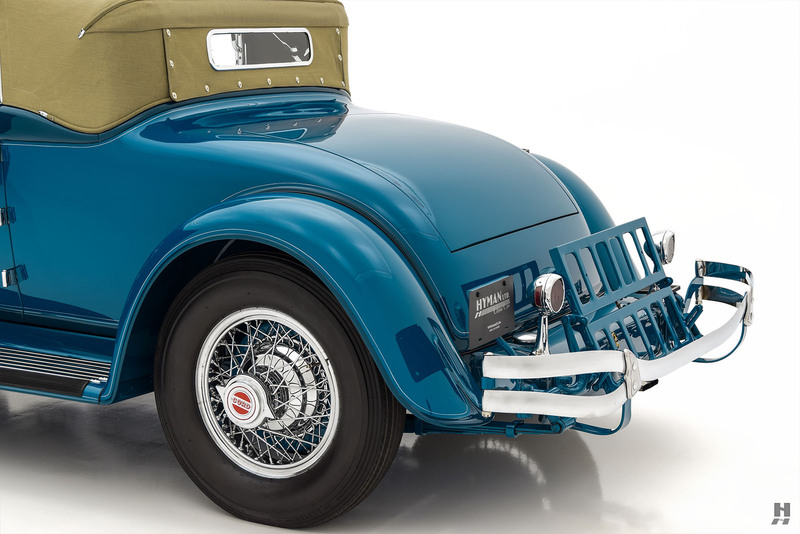 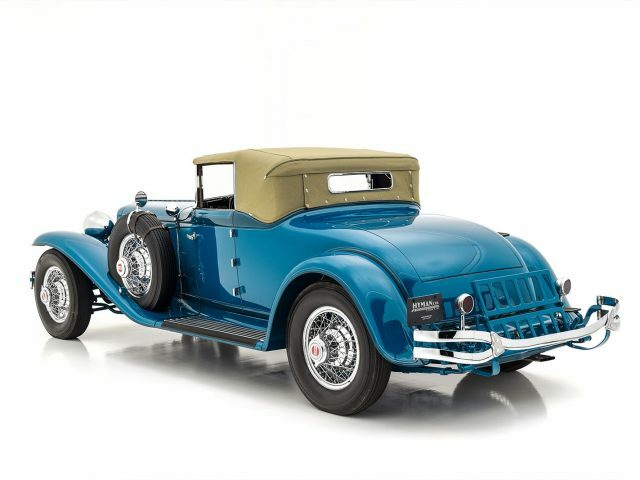 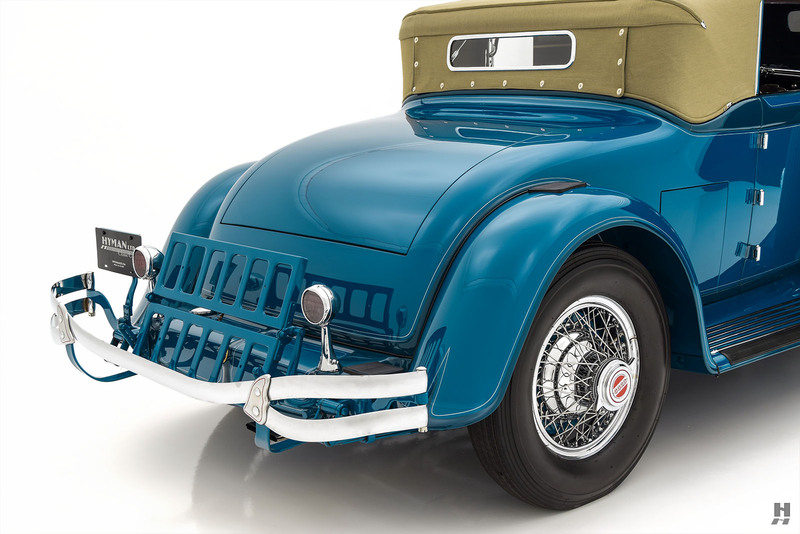 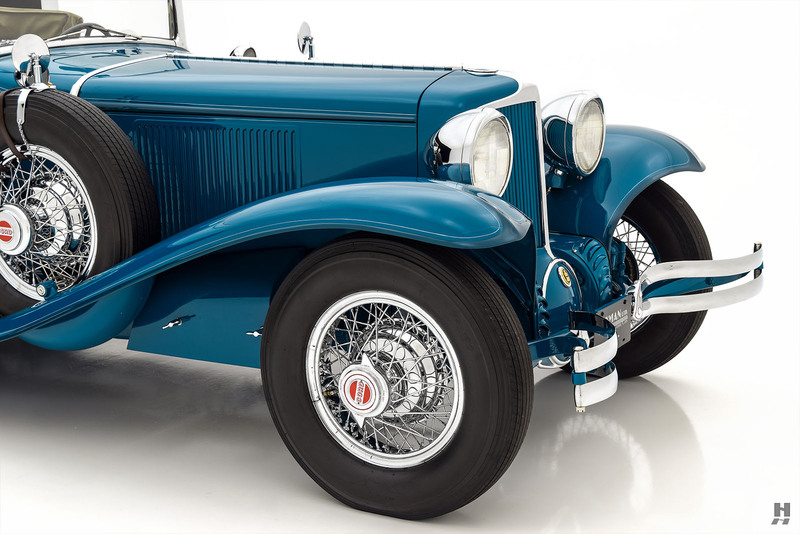 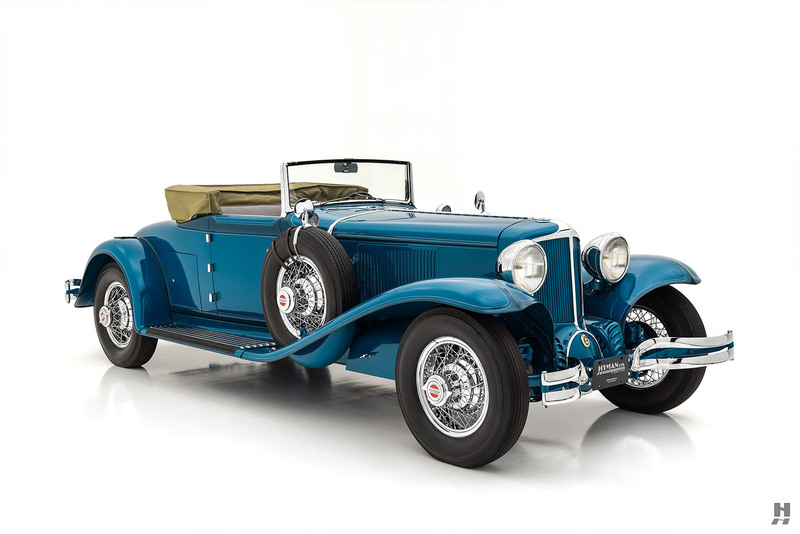 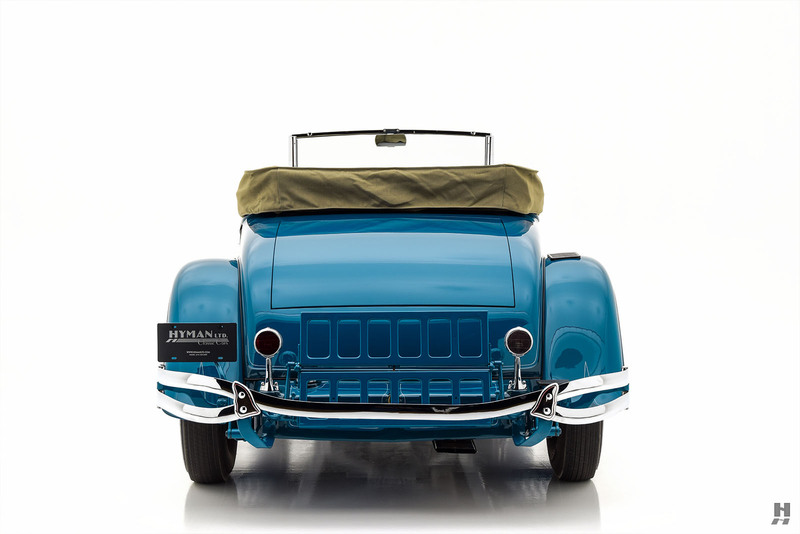 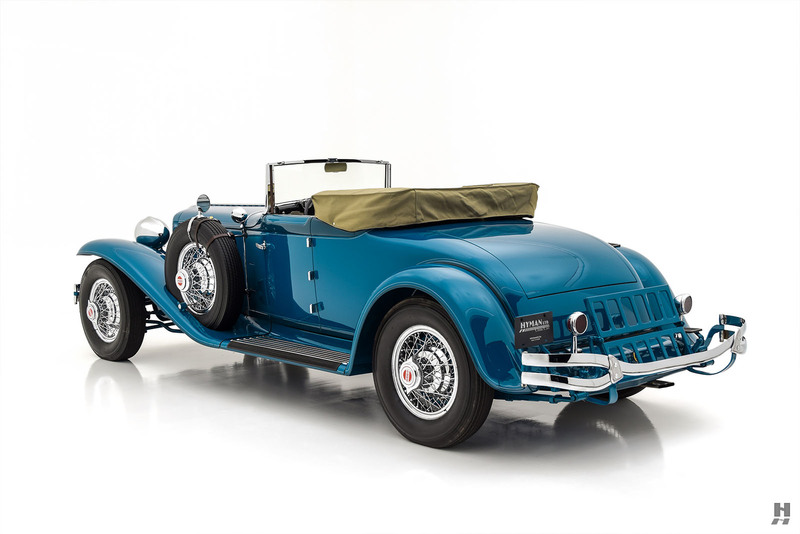 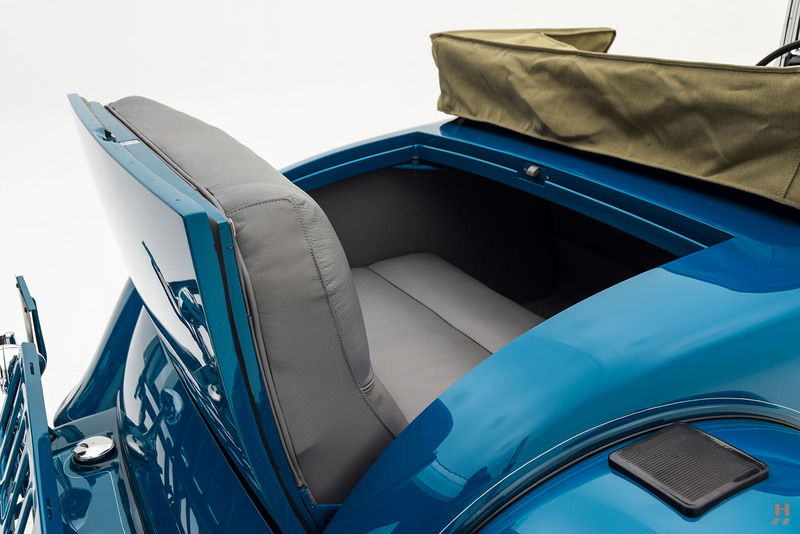 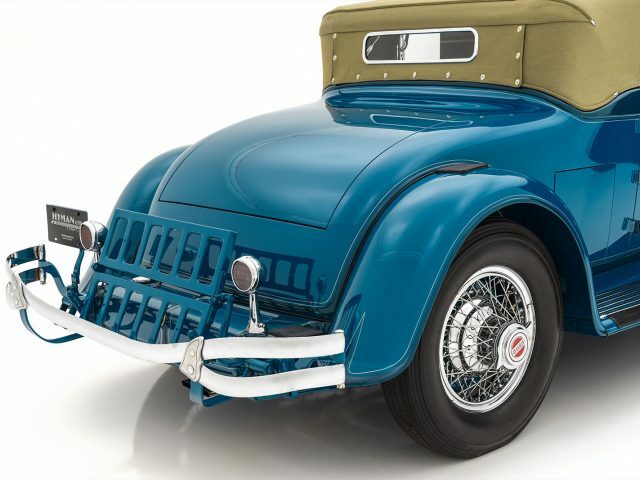 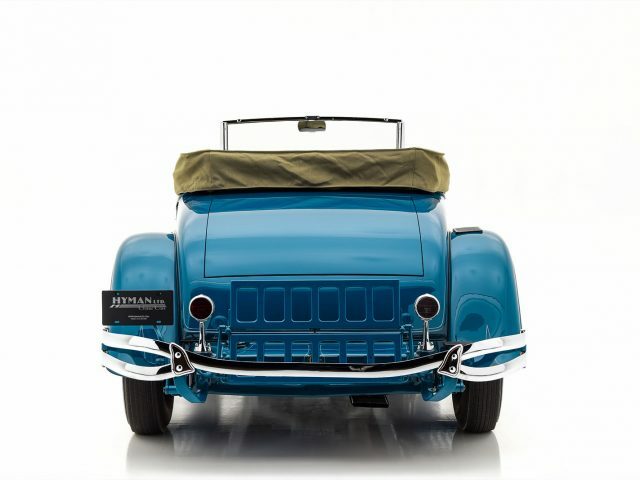 Exceptionally presented in brilliant colors, this Cord L-29 Cabriolet is a stunning example of America’s front-wheel-drive pioneer. 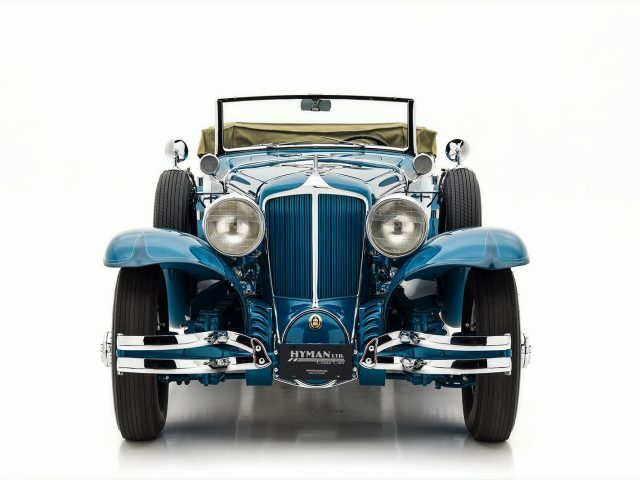 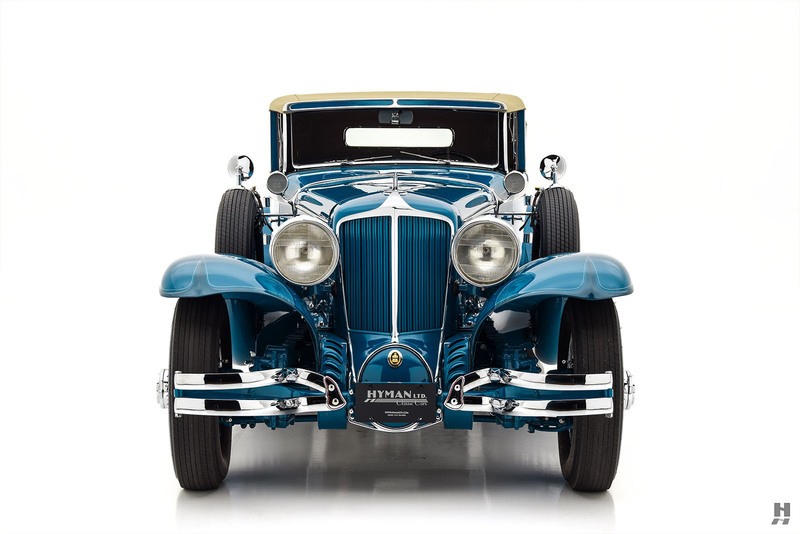 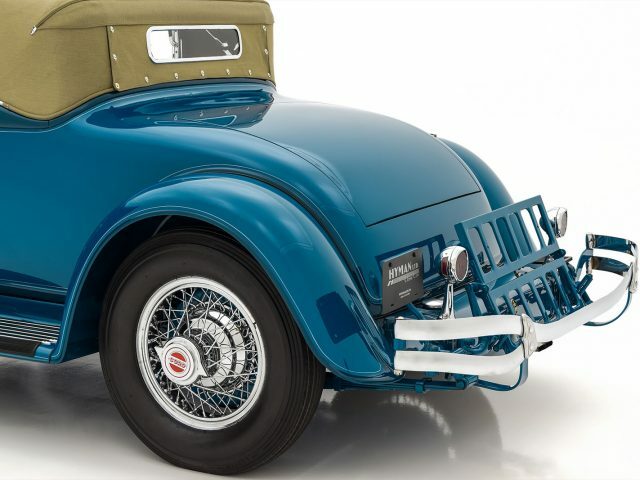 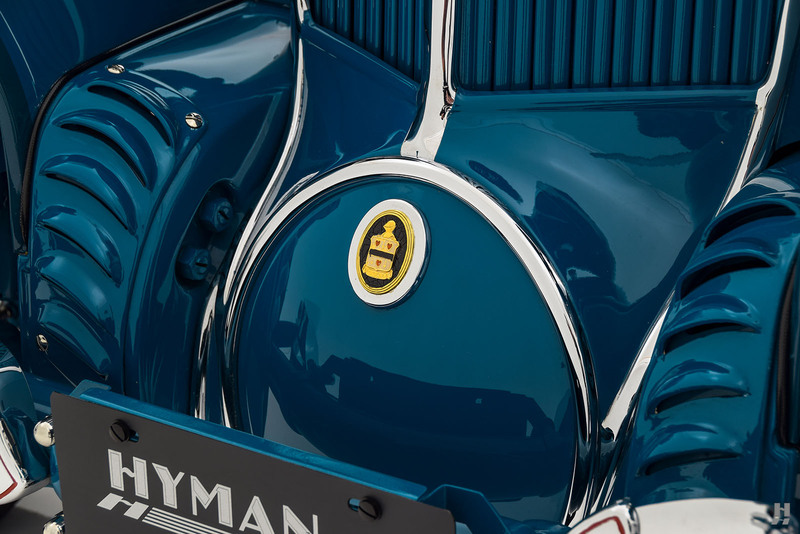 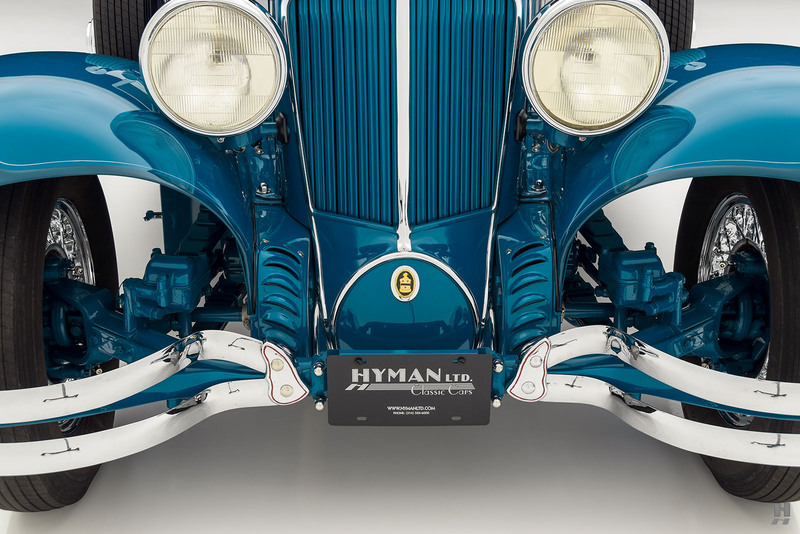 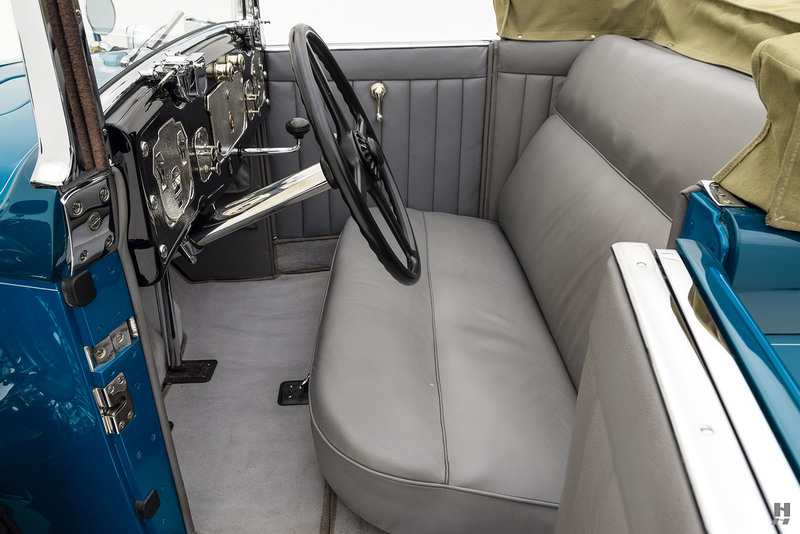 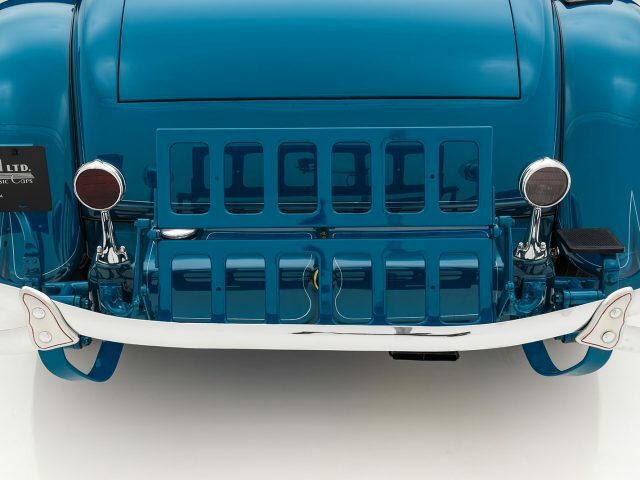 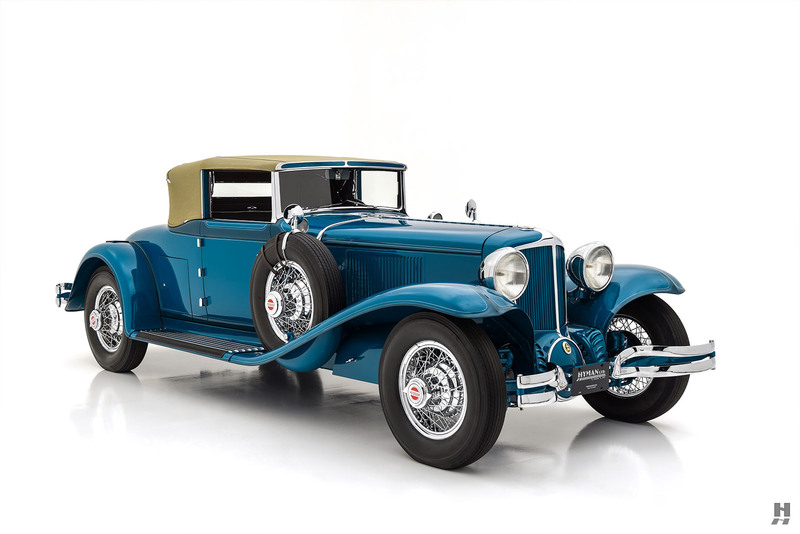 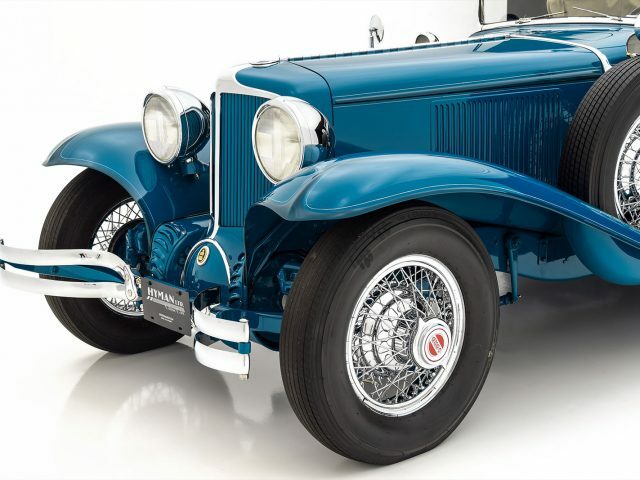 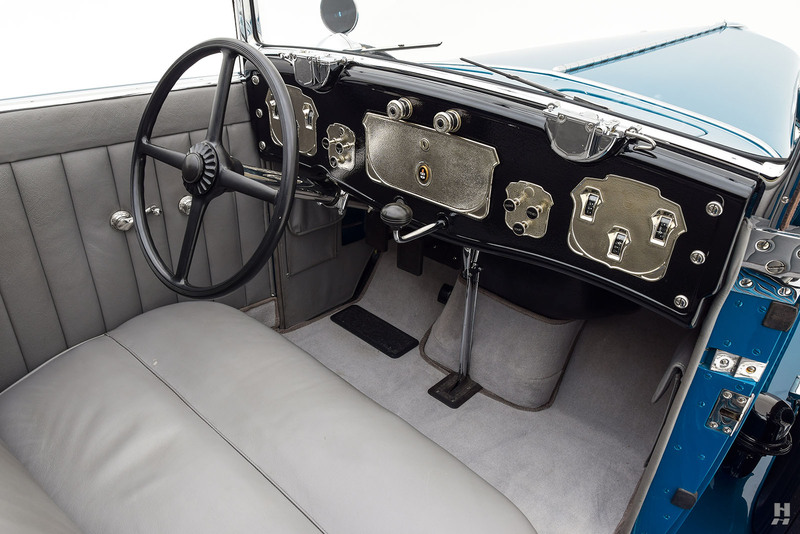 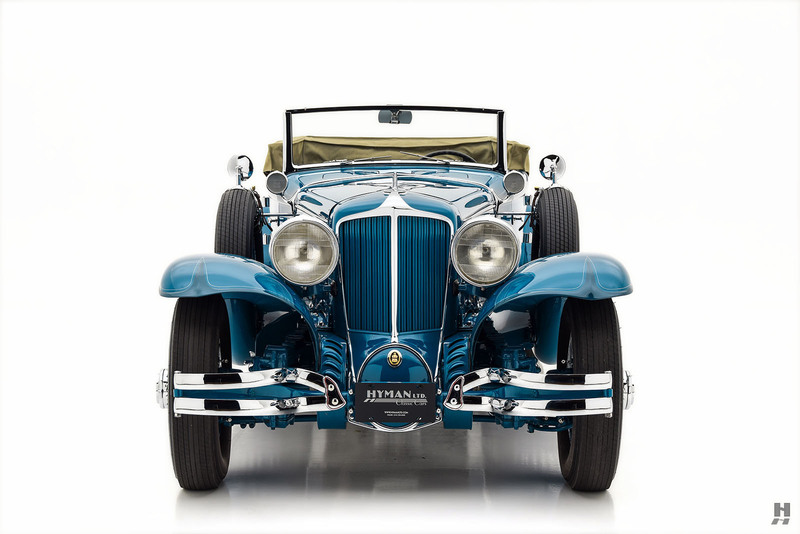 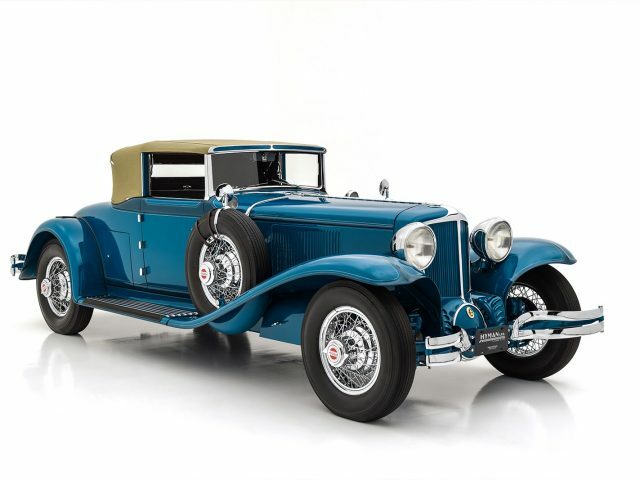 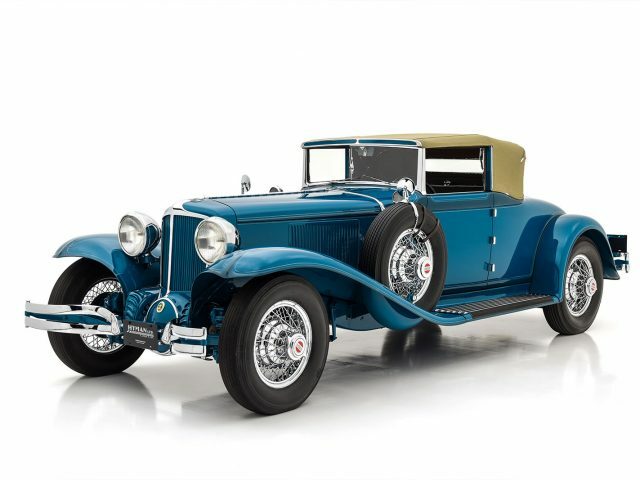 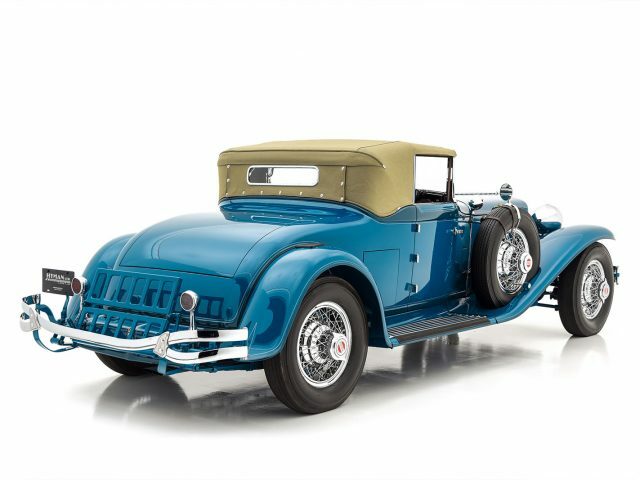 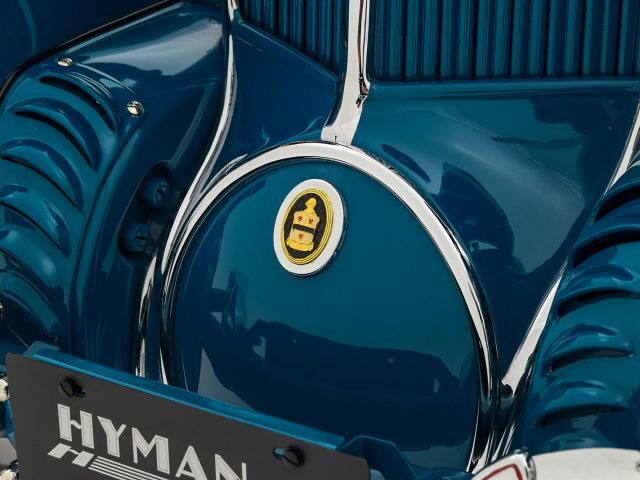 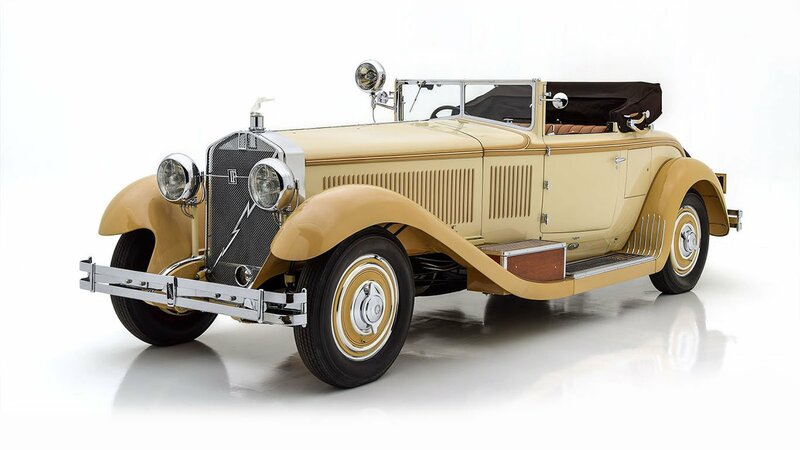 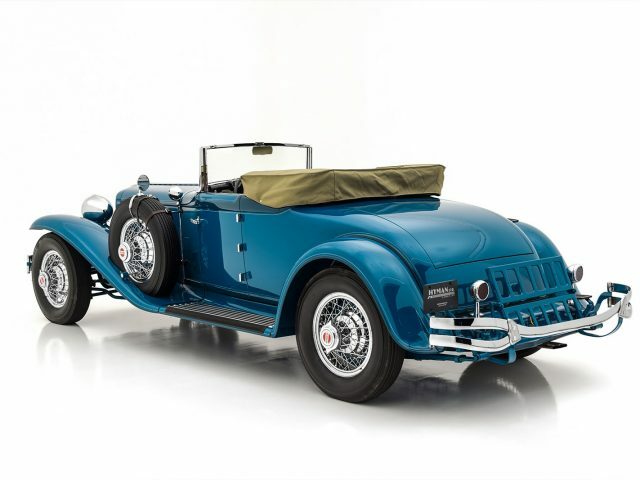 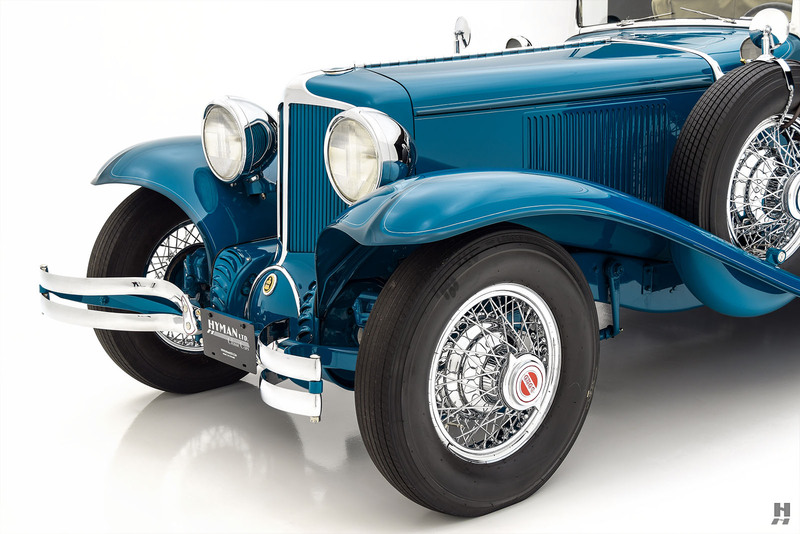 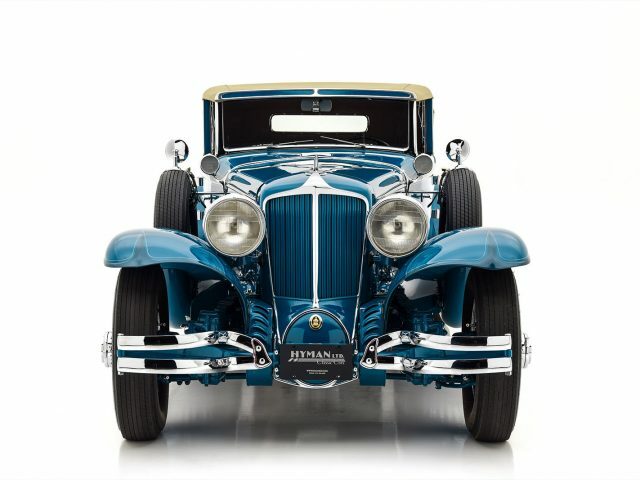 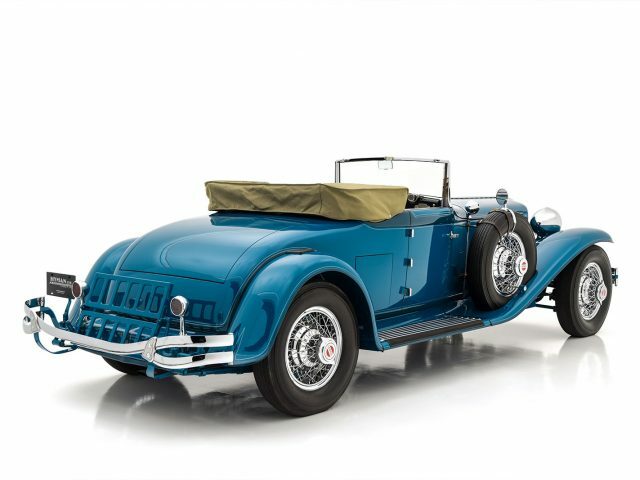 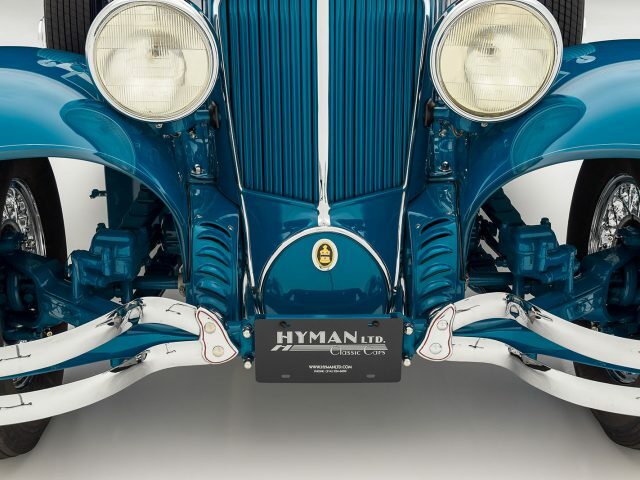 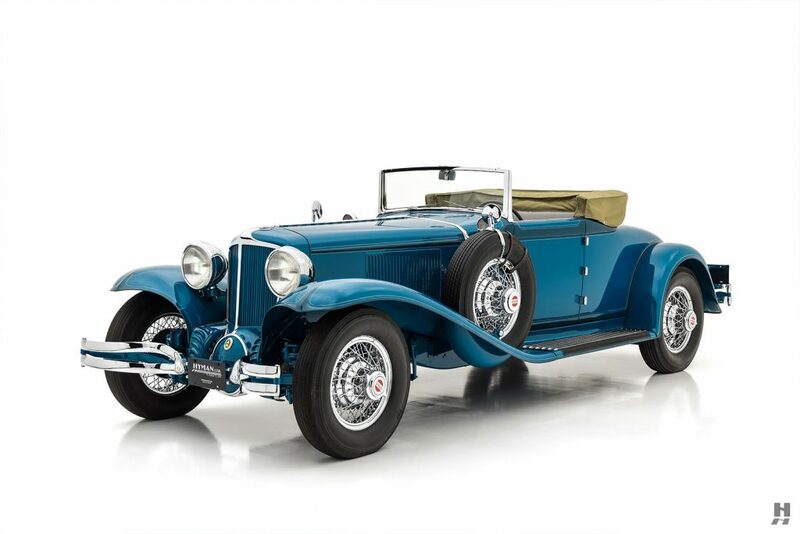 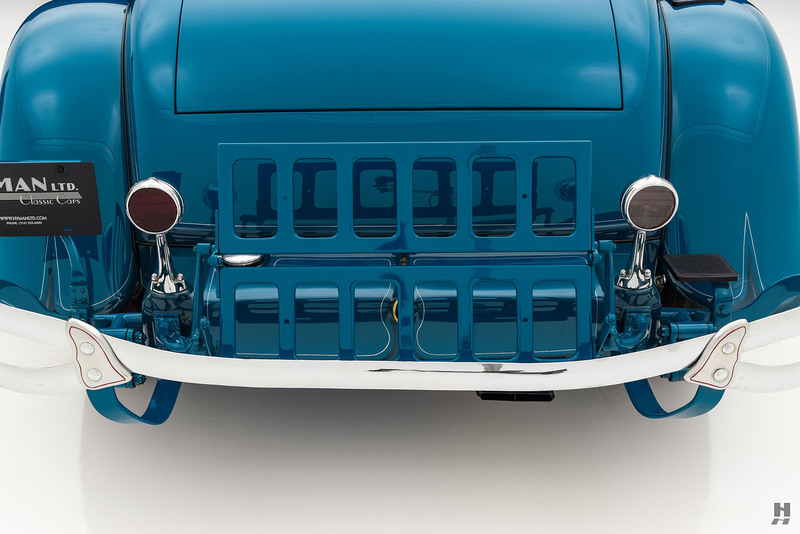 Beautifully turned-out with a world-class restoration by a noted marque expert, this desirable later production example featured original chassis, body, and original FD-series engine. 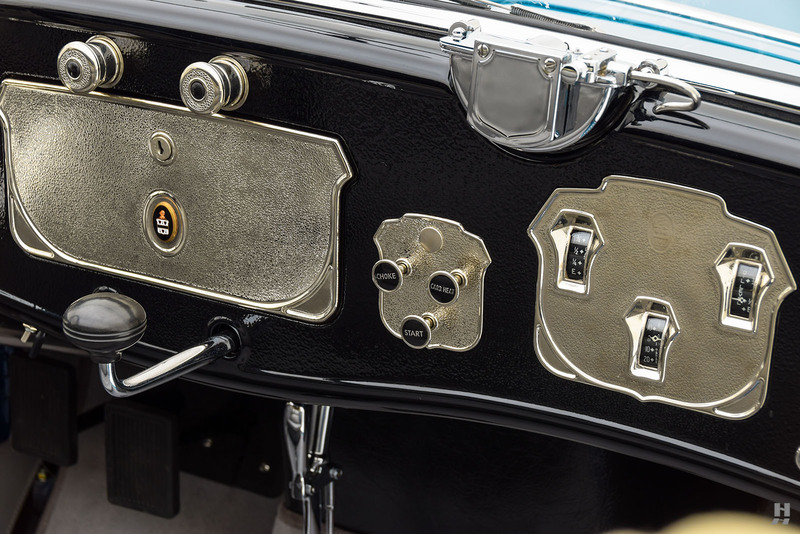 In the mid-1980s, a lifelong Cord enthusiast discovered this car hidden away in a Key West, Florida garage. 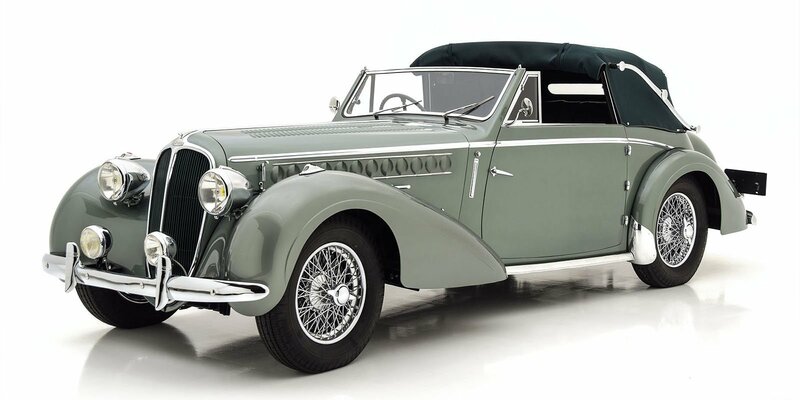 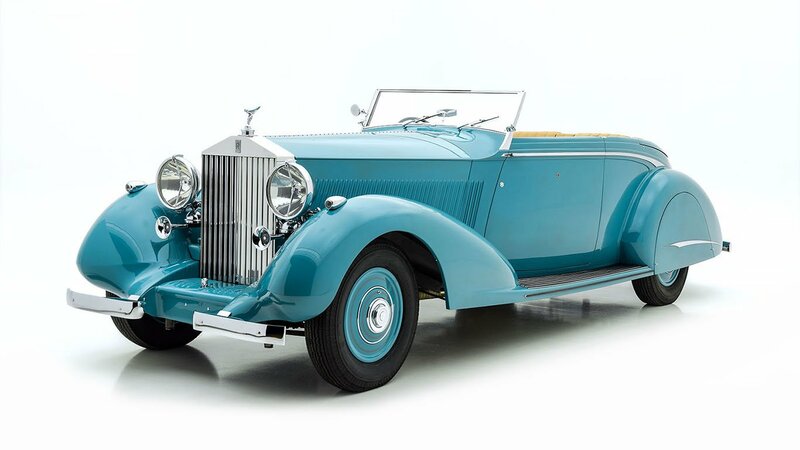 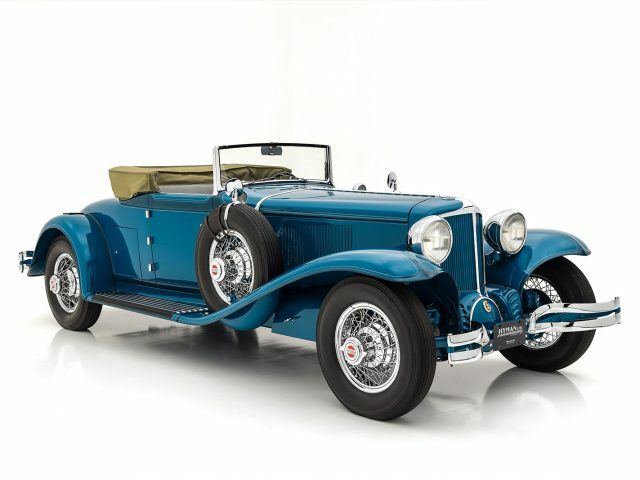 Said to be a remarkably complete, sound and rust free example when found, the owner purchased it with the intention of restoring it to concours standards. 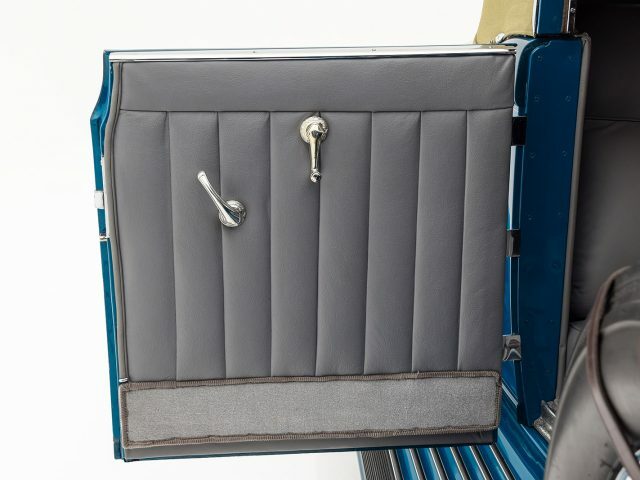 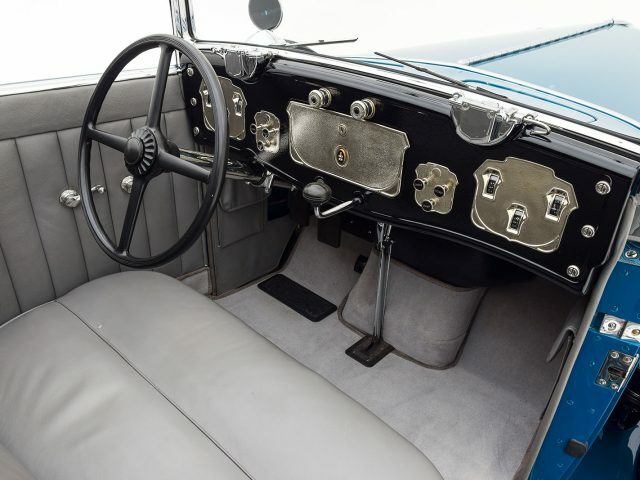 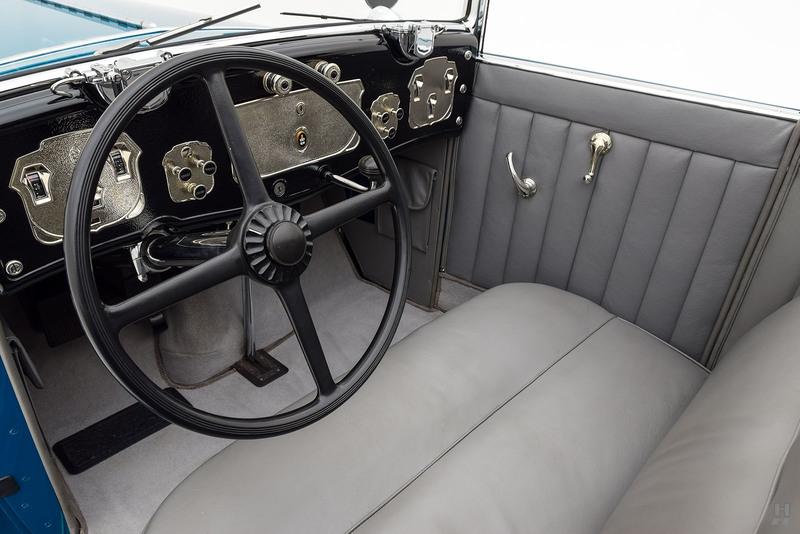 Sadly, he did not see his plan come to fruition; however, his brother (also a dedicated Cord aficionado) later acquired the car and eventually commissioned the kind of restoration it so deserved. 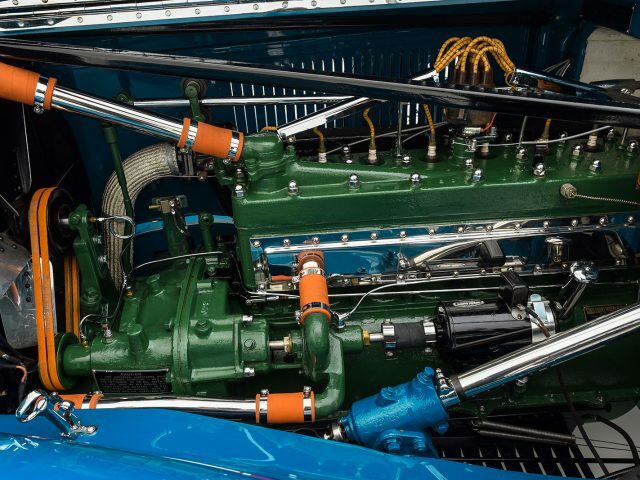 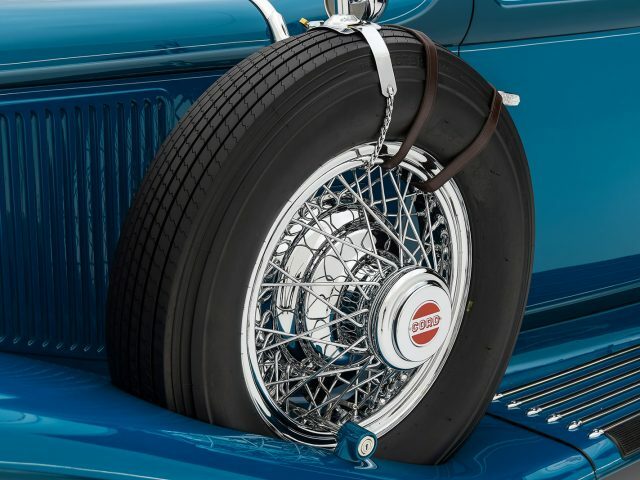 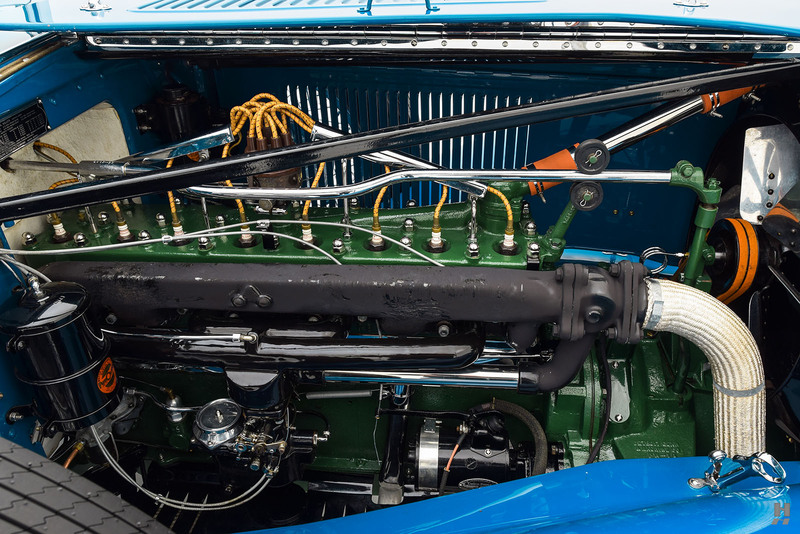 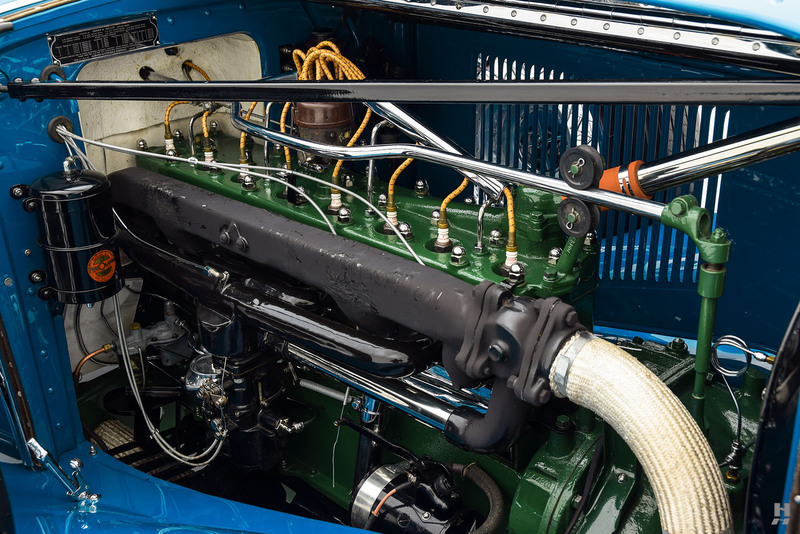 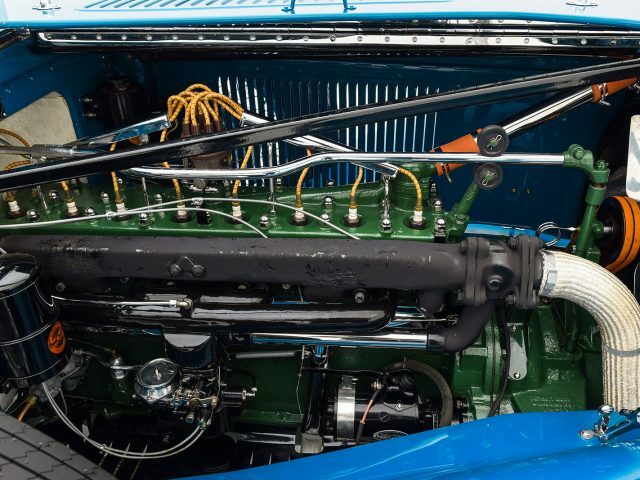 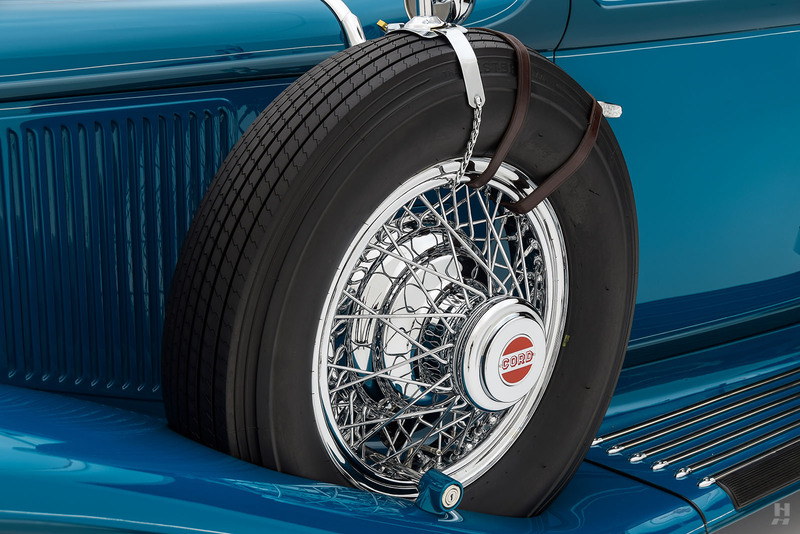 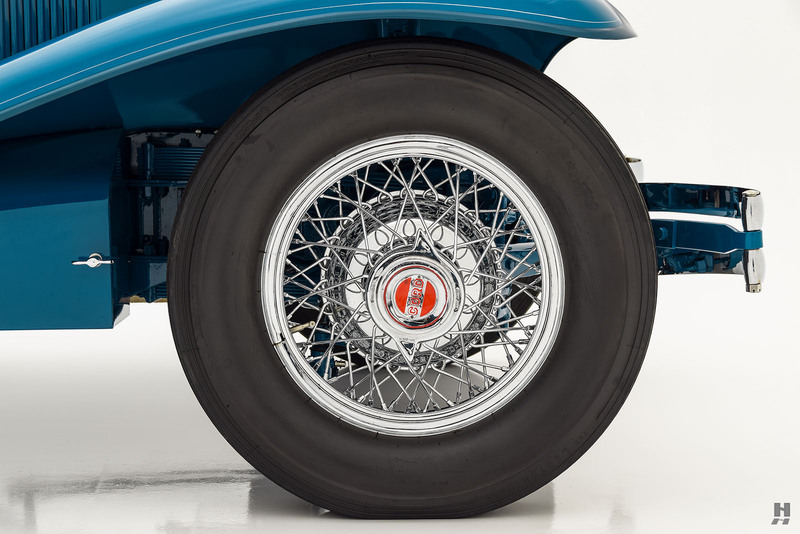 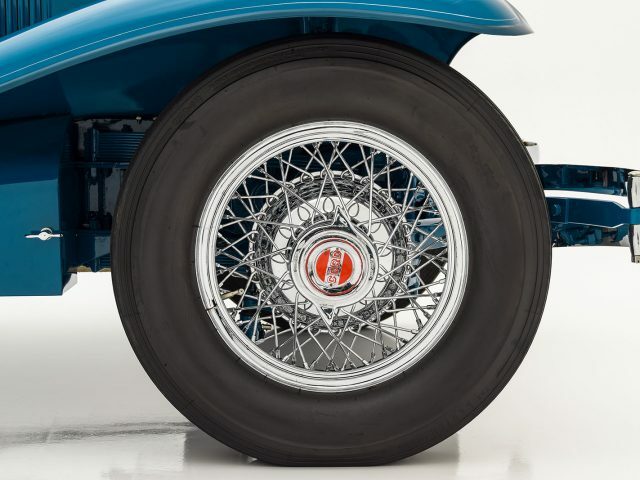 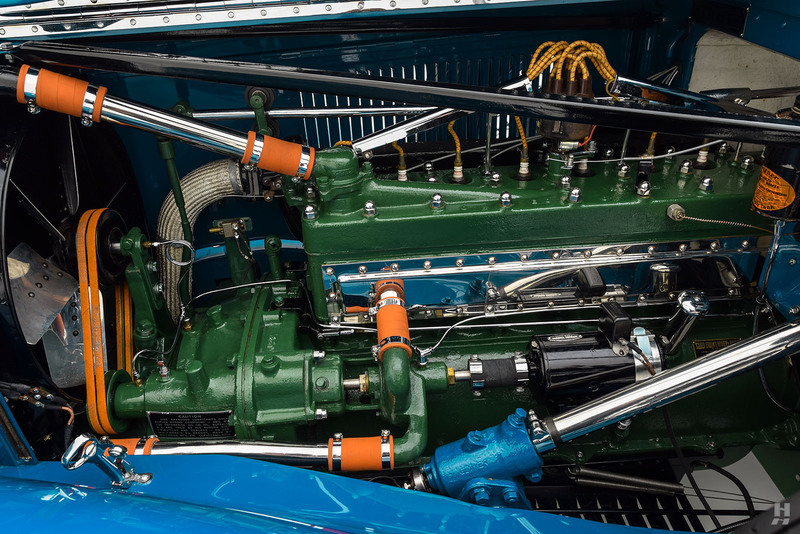 Under the long hood rests Cord’s version of the proven Lycoming inline eight-cylinder engine, which it shared with Auburn. 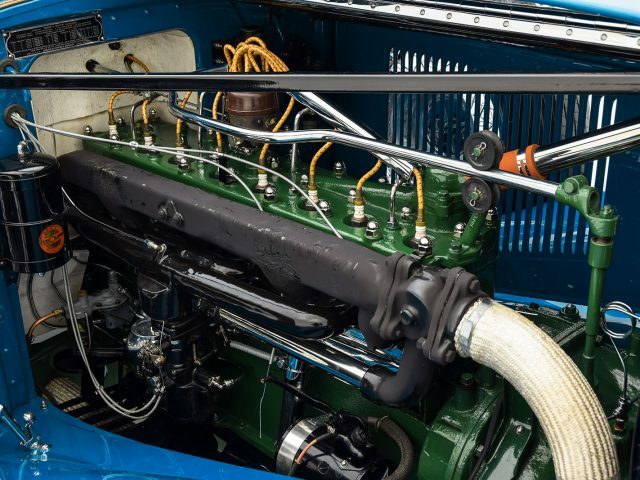 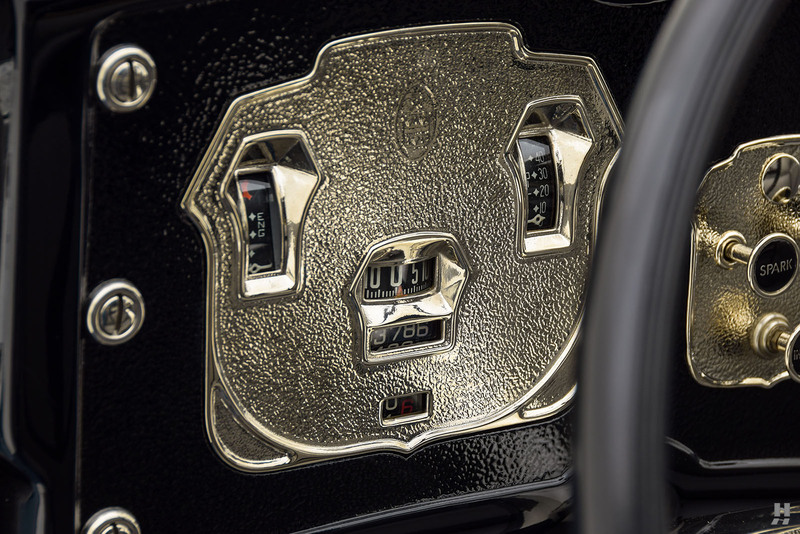 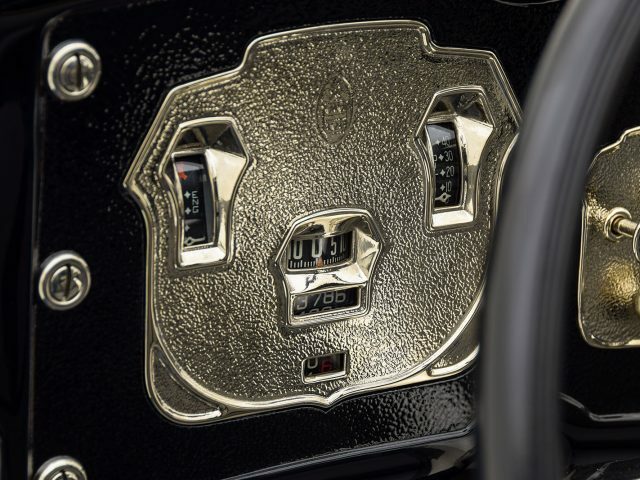 Making 125 horsepower from 298 cubic inches, the L-head eight has the typical refinement and character of the era, and it returns respectable performance. 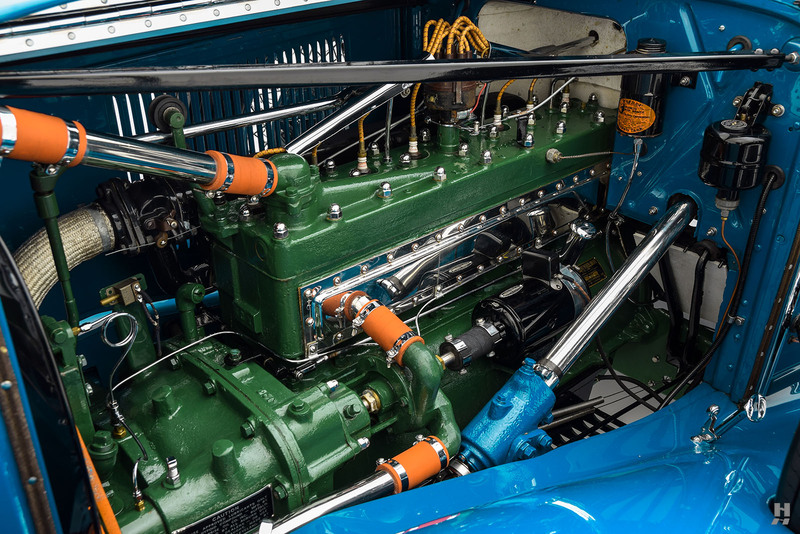 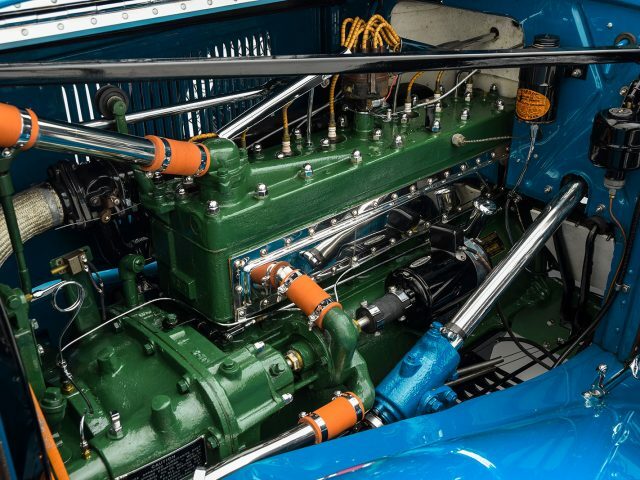 Remarkably, this car retains its original engine as researched by Ken Clark. 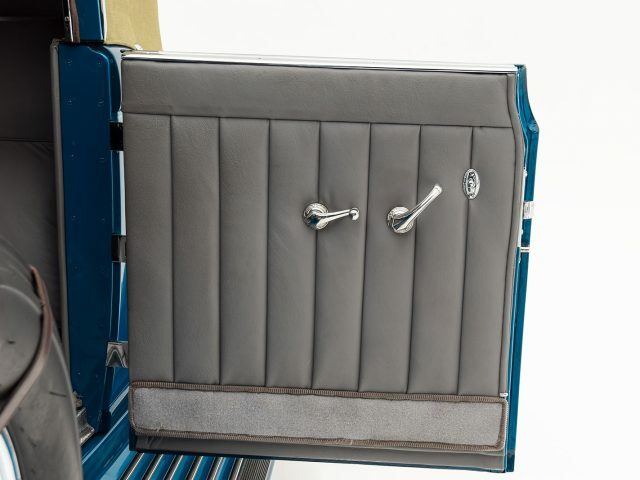 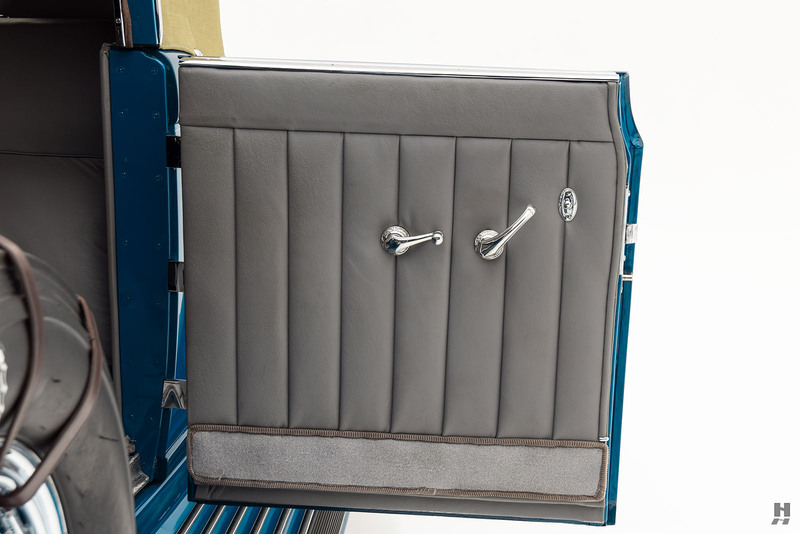 It presents in beautiful condition, in its signature bold green with chrome hardware. 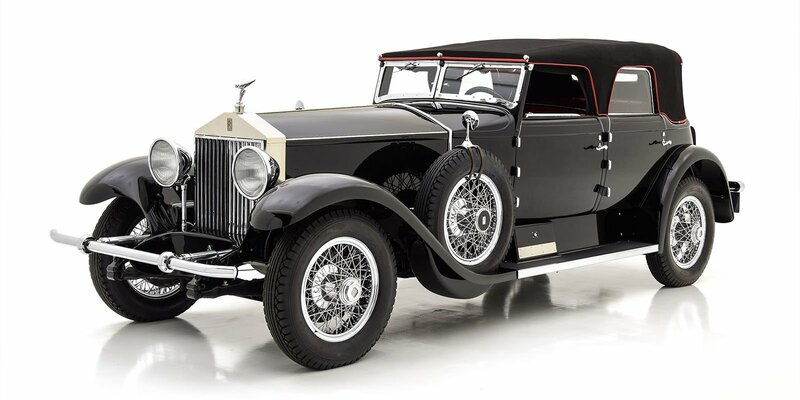 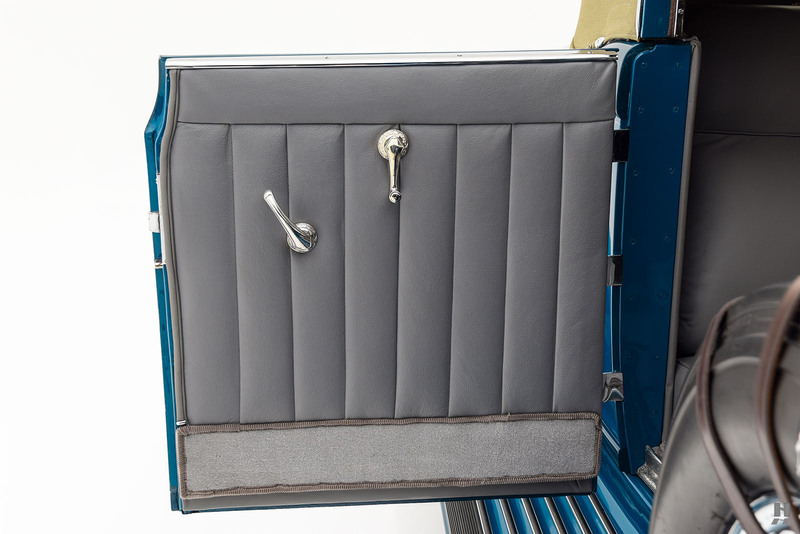 Detailing is excellent, belying its participation in several tours and road events, it remains in superb cosmetic condition. 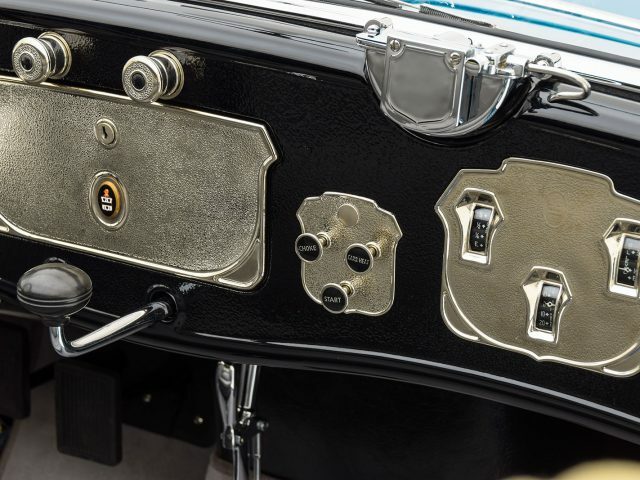 Few examples of the Cord L-29 have achieved such a record on the show field while also being proven on the road. 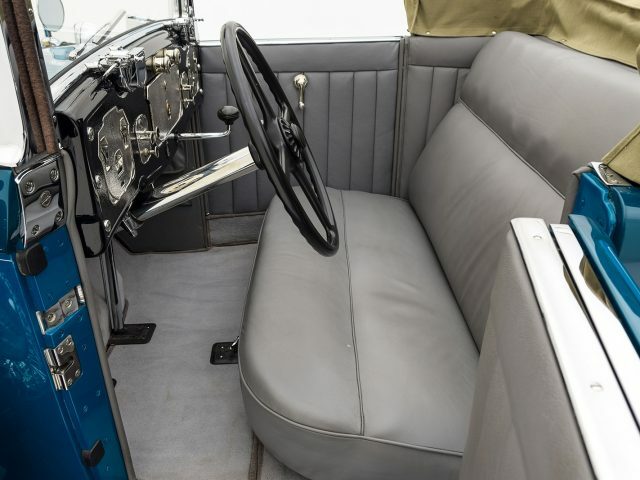 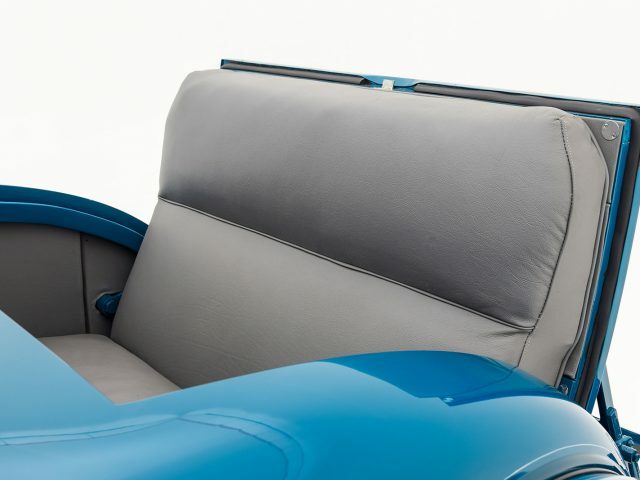 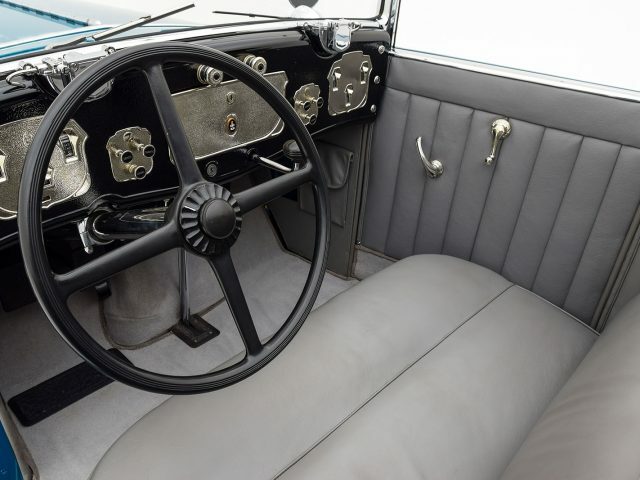 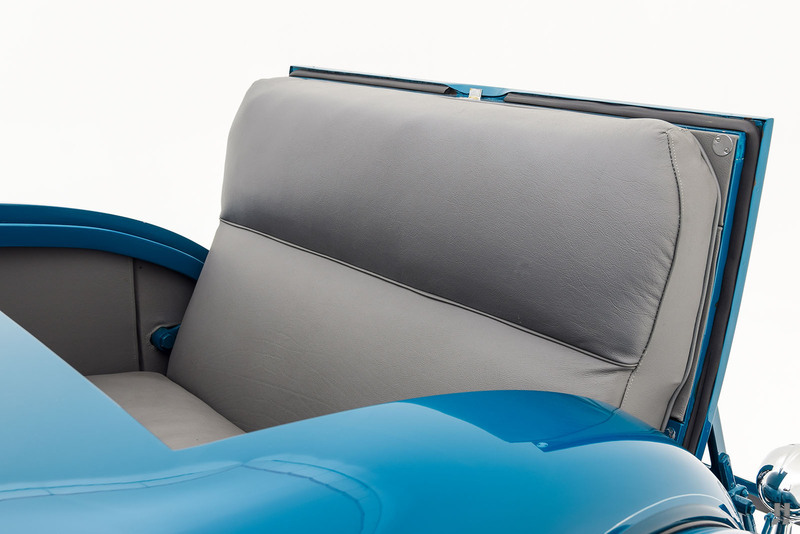 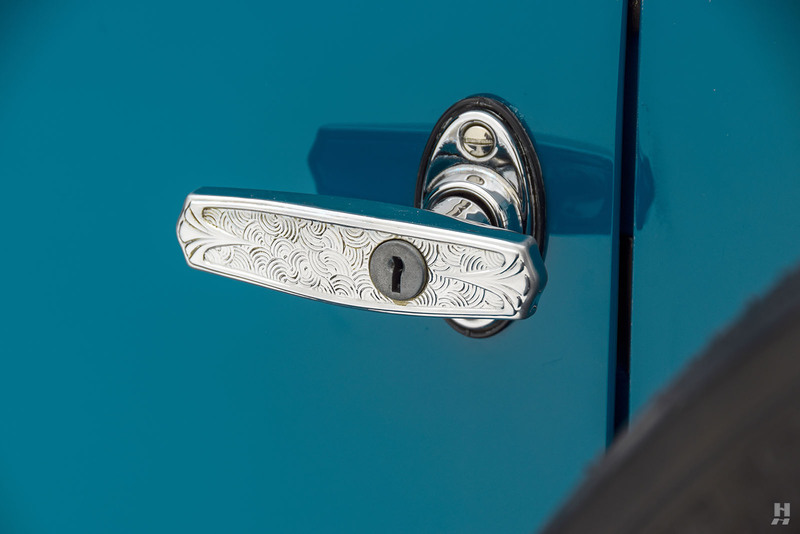 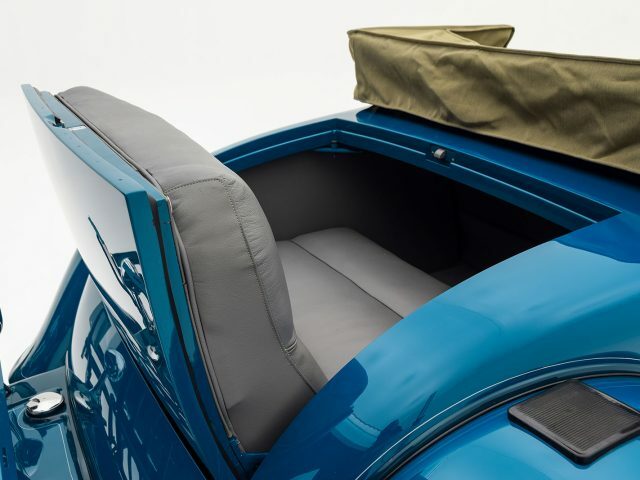 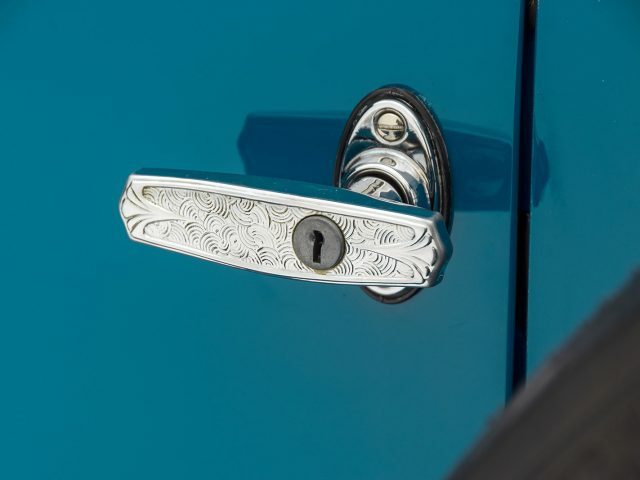 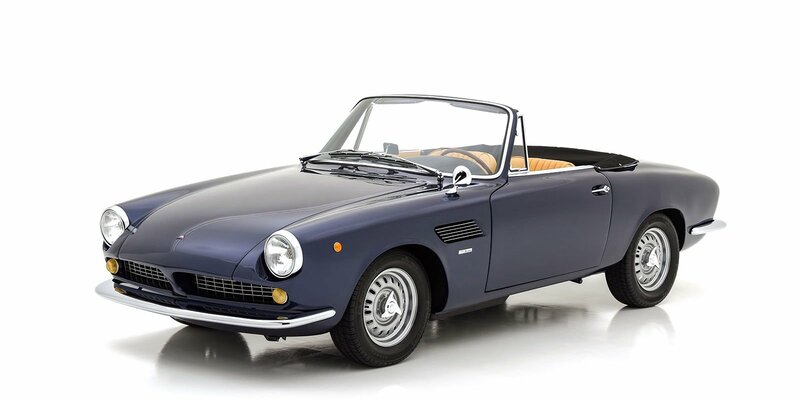 Furthermore, this car not only offers concours quality detailing but it also retains its original body, chassis, and engine as verified by its ACD Club Certification documents. 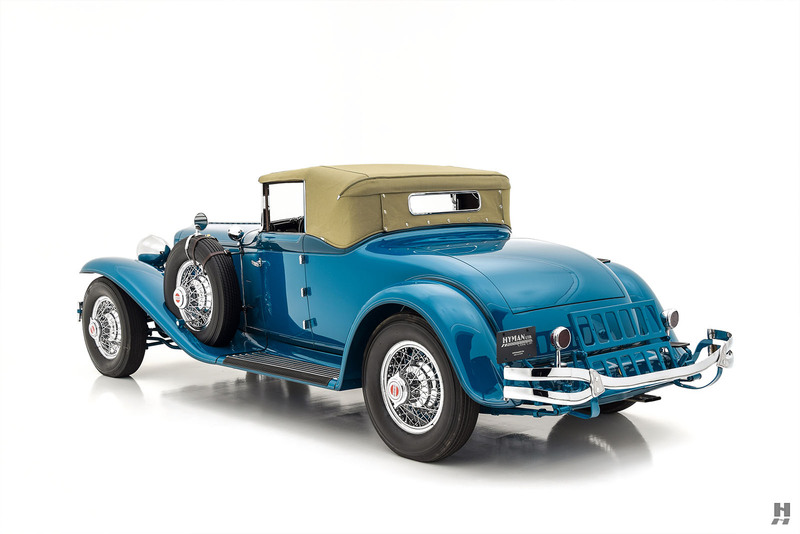 Exceedingly rare and marvelously presented, this Cord L-29 is an icon of the Classic Era that is sure to satisfy discriminating collectors.